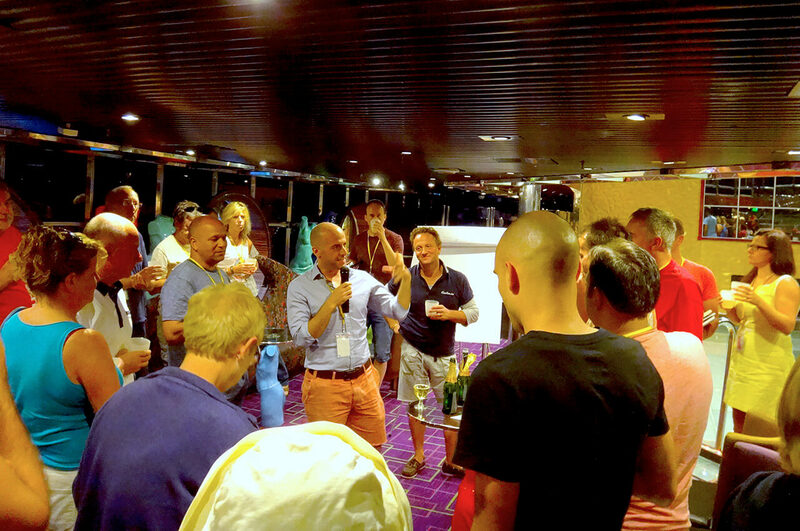 The Mastermind Cruise - Where Leaders go to Learn! Please complete your details below and our travel agent will be in touch to complete your reservation. You have taken the first step to securing your place on the next Mastermind Cruise. 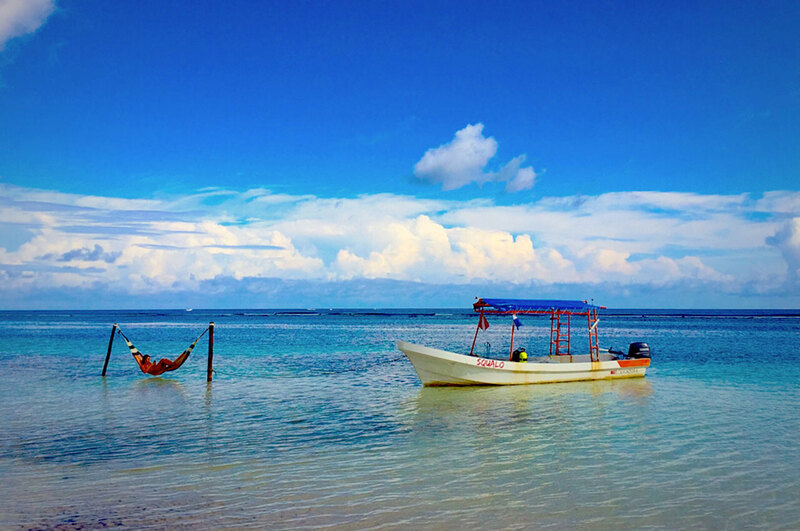 Now sit back, relax and wait for our travel agent to contact you. Welcome aboard! You are now subscribed to our mailing list. Oops! Something went wrong while subscribing you. Please try again. SAVE 30% IF YOU BOOK BY JANUARY 3, 2018! You're Invited on the 28th Annual Mastermind Cruise! Isn't It Time YOU Joined In On All The Networking, Learning and FUN? 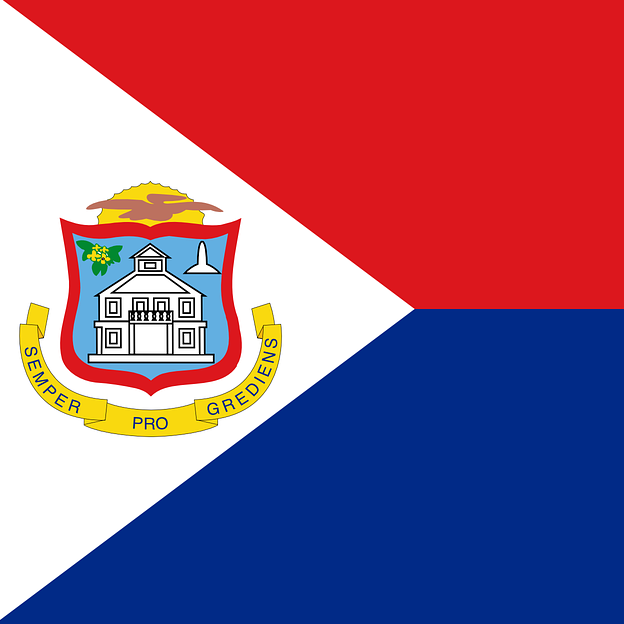 Haiti, Puerto Rico, St Maarten, and St Kitts! Who is the Mastermind Cruise for? Everyone in Direct Selling and Network Marketing! You can be brand new to Direct Selling or a multi-million dollar earner. 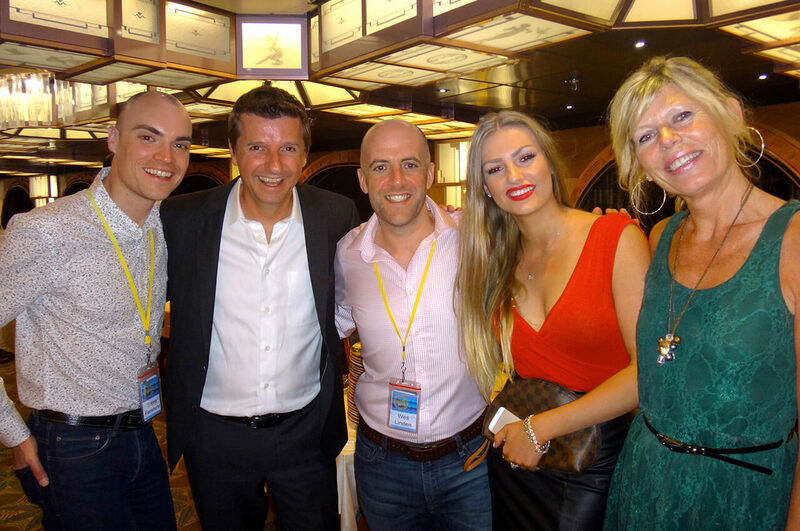 For 28 years networkers from all over the world have joined the Mastermind Cruise and shared fun adventures, created friendships, increased their knowledge, networked and created life-long memories together. We invite you to join us this year! The relationships you create often become invaluable on your journey to success, and what better place to build friendships than on a luxury Caribbean cruise with fellow networkers! And yes, families are welcome! Simply book your cabin through this website and you're in! Direct Selling is an “all inclusive” term that includes everyone in Network Marketing, Social Selling, Social Marketing, Party Plans, and Multi-level Marketing (MLM) companies. There will be more speakers announced over the coming weeks and months and you can be one of the first to know! Subscribe here for the latest Mastermind Cruise updates and announcements. This year's cruise will be a luxury 8-day Caribbean cruise packed with leaders from the network marketing, direct selling, and entrepreneur community. 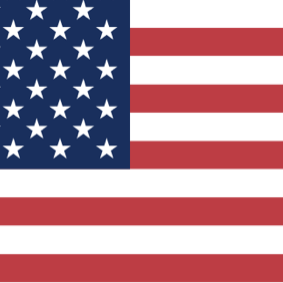 Join networkers from dozens of different companies and countries. It's a great place to meet new people, get new business building ideas at the seminars-at-sea, and receive thousands of dollars worth of free consulting during meals, on the beach or just hanging out around the ship. The Mastermind Cruise has set sail and sold out every year since 1990! That's right, every year for the past 28 years! This is the longest standing generic Direct Selling & Network Marketing event in history. Thousands of networkers have joined us over the years. You'll network with new networkers, top producing leaders, company owners, entrepreneurs and Direct Selling vendors. 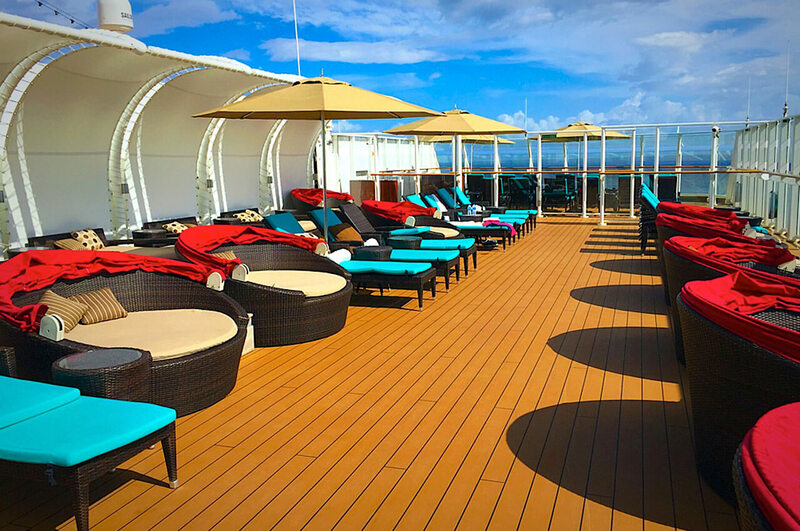 The Mastermind Cruise is more than just a vacation. It's an experience you take with you even after your vacation is over. It's the stories you share, the photos you frame, the memories you relive with the people who matter most. Millions of moments have been made over the last quarter century on the Mastermind Cruise. Every year networkers reconnect, friendships are formed and people come together to gain knowledge and build memories they'll keep forever. What will you learn this year that can propel your business forward? Who will you connect with that can help you achieve your goals faster? What will your memories be from your Mastermind Cruise experience? It's a sell out... every year! A Cruise! Food! Fun! Training! And More! Prices start at a super-low $661 for the entire 8-day cruise! The entire EIGHT-DAY cruise starts around $661 per person on our specially reserved cabins. Rates include the cruise, all meals on-board, seminars and entertainment. Airfare is additional. If you consider that this one price covers five meals a day, your onboard evening entertainment, your accommodation and even your networking seminars... well, you can see it will be the bargain of a lifetime. This price is less than what you'd pay just to hear some of these experts in a weekend seminar. You deserve the break... filled with memories, moments, friendships, adventures, FUN! Why a luxury Caribbean cruise? Because we all deserve a break from the stress, the phone, and the cold winter weather. Where would you rather be in late November and early December; In a dark convention hall in a cold city listening to 3-days of lectures? Or networking at the highest level for a week, getting full access to some of the world's top producers, creating life-long memories, all while being entertained on a luxury cruise and exploring some of the most beautiful warm and sunny Caribbean islands? The decision is easy. Go to the warm weather, go with fun, friendship, freedom! It's great to vacation with positive, goal-driven, fun people. You'll get to enjoy yourself by cruising with fellow networkers. Over the years, networkers from 60+ countries and 100+ different Direct Selling companies have been represented on the Mastermind Cruise. Sure, there will be seminars-at-sea and workshops, but we'll be having plenty of fun too! Come and network. Come have fun with like-minded people. Get some amazing lifestyle photos. Share the adventure on your social media. Gain knowledge that can help you create a bigger income long after the cruise is over. Life is made of moments, memories and friends... join us this year to create great memories and friends for life on the Mastermind Cruise! Fun, learning and friendships for life! It's your chance to acquire thousands of dollars in free Direct Selling consulting! Imagine having breakfast, lunch, and dinner with Direct Selling experts. You could literally receive thousands of dollars in free consulting during your eating and leisure time! Maybe you enjoy taking a morning walk on the top deck. While walking your laps in the fresh sea breeze, you walk alongside Art Jonak asking him a few questions about how you can take advantage of future trends in Direct Selling. Or, maybe spot Tom "Big Al" Schreiter by the all-you-can-eat pizza bar, and you end up eating a few pizzas together while sharing prospecting ideas. Or, you might meet up with Wes Linden in the gym and ask his top tips for success. Or, you might hang out with Ken and Lisa Seto in the piano lounge and get insights on how to successfully expand your business internationally. Or watch the sunset on the back deck while discussing how to pivot on your finances with oil and gas mogul Jim Blakemore. Or, you might relax in the jacuzzi or pool with another industry expert and ask about a specific topic you need help with or want more insight on. Everyone who is part of the Mastermind Cruise will have a custom yellow lanyard with their name, so spotting and networking with other fellow networkers on the cruise will be easy! Well, enough about the networking. It seems that after all the formal workshops and seminars-at-sea, previous cruise attendees tell us that the networking during the meals, by the ice-cream machine or during shore excursions was the highlight of their week. Your chance is now. The previous Mastermind Cruises completely sold out, leaving many people disappointed. Please. Don't miss out. Get one of the remaining spaces before they are all gone. I don't want you to miss this special 8-day trip. Exclusive access to top Direct Selling producers. We don't want you to miss this special 8-day vacation. Imagine being able to attend these information-packed seminars-at-sea. Imagine having dinner with these experts, socializing with these leaders, and well... you could be getting thousands of dollars of consulting in the most relaxed atmosphere imaginable. There will be a host of people on board who can share important business-building methods. Methods your team needs now. Methods your team needs you to bring back home. The most important activity for you to do is to reserve your cabin now. All cabins are on a first-come, first-serve basis. So, if you miss out on our specially reserved block of discounted cabins, you might still be able to go, but at a much higher price. Or, you might not get a cabin at all! We look forward to seeing you on the cruise! What separates the Mastermind Cruise from other cruises? The caliber of people who attend the cruise. Many of our attendees are proven leaders with huge, world-class organizations of their own. The opportunity to network with others on this cruise is simply second to none. There is a good chance the person you are sitting next to on deck, going on an excursion with, or having lunch with is already earning a great extra income or fantastic full-time income with Direct Selling. They might even be a top income earner, or company executive. Your group is safe here. The Itinerary. These are some of the best islands in the Caribbean. We're not talking about a 3 or 4 day cruise, where you spend most of your time embarking and disembarking the cruise. This is a full 8-days of relaxation, fun, learning, networking... and MORE FUN! Plus, the destinations this year are second to none. We'll be visiting some of the best Southern Caribbean islands with all the gorgeous beaches, delicious food, and perfect water for snorkeling. 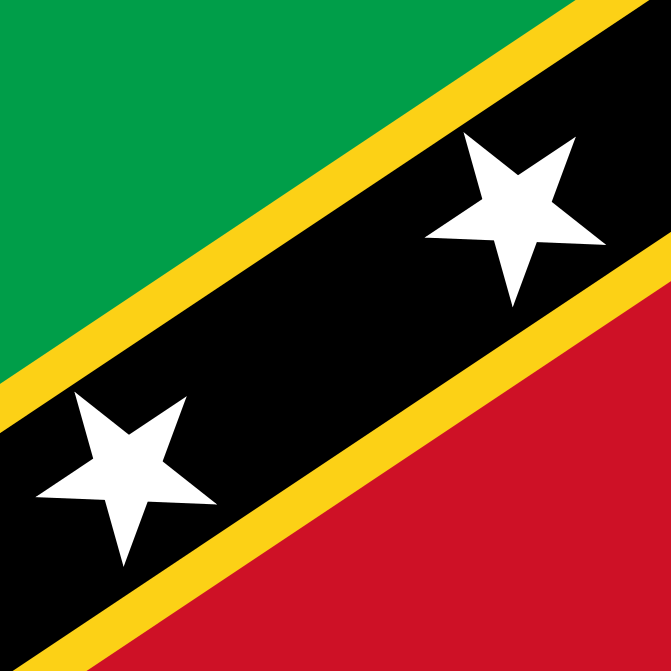 And we're not talking about half days or just a few hours on each island, on this cruise we'll be staying at most islands, Haiti, St Maarten, and St Kitts, for a FULL Day, from 9 am to 5 pm on each island. This allows for maximum adventure, fun and networking with no need to rush off the ship and then back on the ship. Frankly, this is quite possible the perfect cruise itinerary! Experience the islands and ship — Art & Ann Jonak style! Experience adventure Jonak style! An epic lunch on Orient Beach; Lifestyle photos on the world's best beaches; Enjoy lively Puerto Rico; Discover the lush rainforests on St Kitts; Rent jeeps and explore; Snorkel; Swim with stingray; Jet-ski; Explore; Enjoy the flowers, plantations, and caverns; Relax on pristine white beaches; And don't forget the shopping experience, deep discounts on electronics and jewelry! Plus the ship is an exciting destination in itself! 137,000 tons packed with 10 restaurants, 15 bars and lounges, an award-winning spa, ice skating, Broadway caliber musicals, non-stop activities, children’s program, water slide, swimming pool, wireless access onboard... and much more! Get FREE STUFF you won't get on a regular cruise. What are the dates of the Mastermind Cruise 2017? What are the cabin rates on this year’s Mastermind Cruise? Options include Suites, Penthouses, Spa Staterooms, Mini-Suites, Balconies, Oceanviews, Insides and Studios. Rates include cruise, port, government and fuel taxes, all meals, seminars & entertainment. Air is additional. All cabins are on a first come, first serve basis. Outside cabins will go very quickly for this particular cruise, so book your cabin early. If there is a lower rate available when we go to book your cabin, then we will get the lower rate for you. The price includes your cabin, meals on board the ship for the entire week, access to our group dining and training seminars, a name badge and lanyard, complimentary champagne and chocolates, and an invitation to a networking cocktail party during the cruise. Some additional expenses you may want to budget for are excursions at each port of call, shopping, and meals at specialty restaurants on board. If you are interested in food or drink packages, call or email Jan Baumgartner at Distinctive Travel at 281-362-0777. Yes! We are offering a monthly payment plan, where you can make monthly payments by check or credit card. Contact us for details. Do I have to book through the Mastermind Cruise travel agent to participate? Yes. To participate in the Mastermind Cruise related activities, networking events, trainings, meals, etc, you must book through the Direct Selling Cruise travel agent. Group dining is scheduled in advance, so you will miss out on the key networking events if you book on your own. 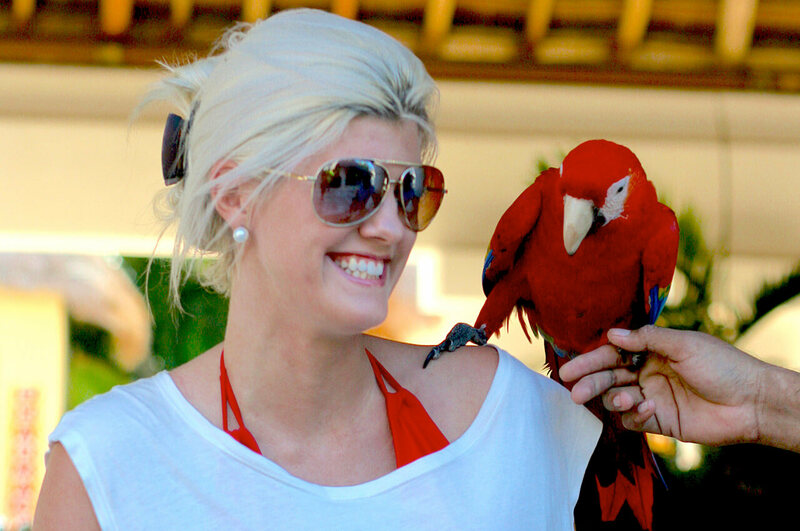 Only our travel agent can make sure you are part of all group activities. What else do I get by booking my cabin through the Mastermind Cruise? Just for reserving your cabin through this website, you'll get ALL of the following additional bonuses! Bottle of champagne & chocolates delivered to your cabin. Invitation to our exclusive Direct Selling Cruise cocktail 'networking' party. Invitation to participate in all the Direct Selling Cruise training and workshop events. Direct Selling Cruise event schedule & related documents delivered to your cabin. Exclusive Direct Selling Cruise lanyards and name tags (making it easy to network 24/7). Get priority seating at the networking dinner tables with fellow networkers. What if I want to bring my team? Your team is welcome here! 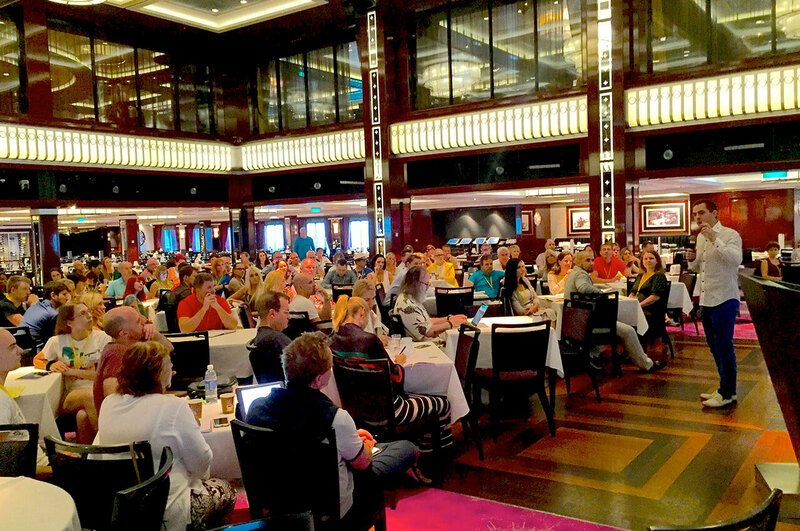 The Mastermind Cruise is a generic, safe space for your team to learn together. We recommend coming together, as you can work together more easily if everyone is learning the same concepts at once. I’m trying to book my flights. What time does the ship depart and arrive in Ft Lauderdale? The Adventure of the Seas will depart at 5:30 PM on the 16th and disembarkation should finish around 10 AM on February 24th. Who can attend the Mastermind Cruise? Anyone. You can be brand new to Direct Selling or a multi-million dollar earner. Families are welcome! 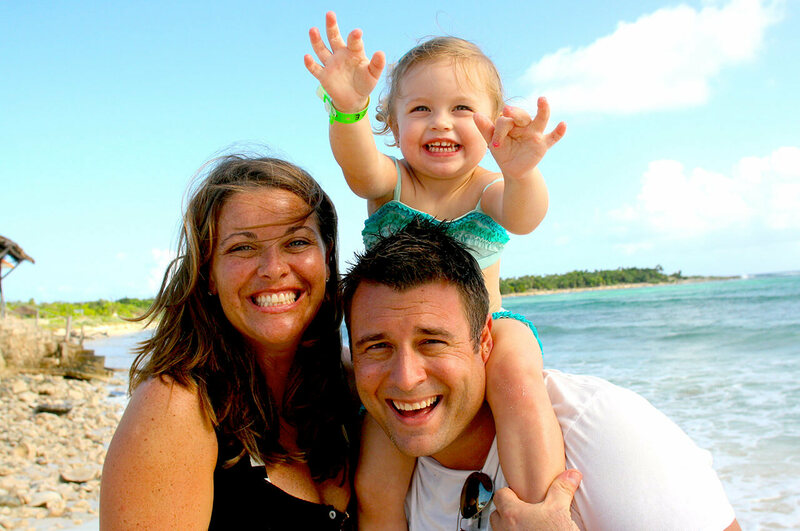 We encourage you to bring your family and make memories together. Simply book your cabin through this website and you're in! Families aren’t just welcomed – they’re encouraged! 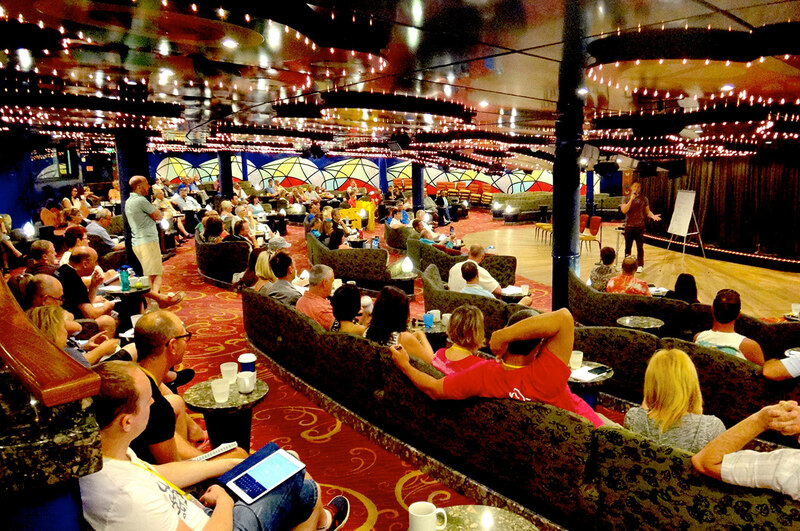 The Mastermind Cruise is full of fun activities for all ages, plus, learning as a couple (or even as a family) can help push your business to the next level even more quickly. 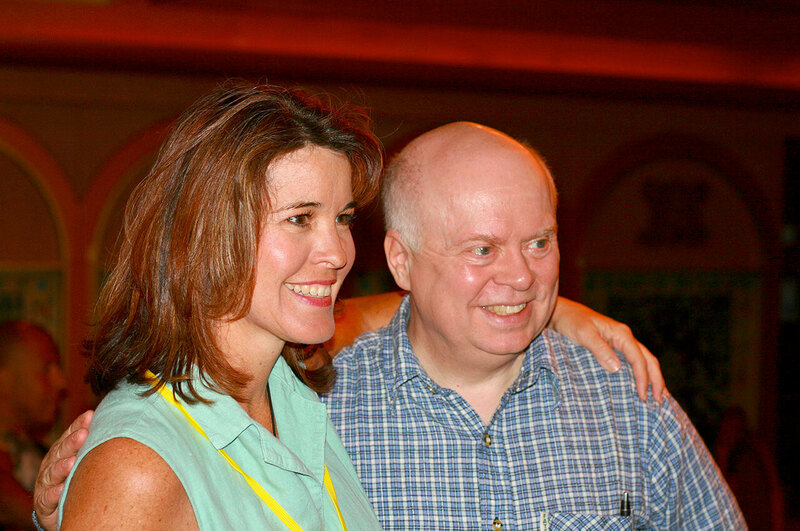 Part of the magic of the Mastermind Cruise is creating memories together. Can I attend by myself? Can I be connected to a roommate? Yes! We welcome everyone! If you are looking to split the cost of a cabin with a roommate, but don’t know anyone else attending, just let our travel agent know. She’ll help pair you with someone else in the group. How do I get to the Mastermind Cruise? You’ll fly into Fort Lauderdale-Hollywood, then take a taxi or shuttle from to the Port Everglades cruise terminal. Miami International airport is about 27 miles south, and Palm Beach International Airport is 50 miles north. Yes! Please be sure to bring a passport for every guest in your reservation, including children. Should I book shore excursions ahead of time? Take a look at what we recommend on the islands here. We recommend deciding what to do when you arrive at each port of call, however, if you want to schedule a particular dive, hike or tour, scheduling it ahead of time is a good idea. What is the dress code onboard the ship? Where do we meet once onboard? 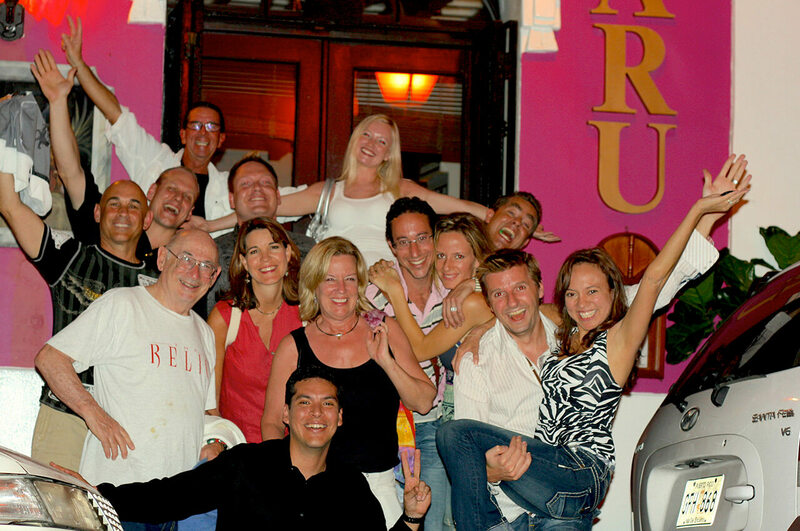 We all dine together every evening, where you can network with fellow guests. 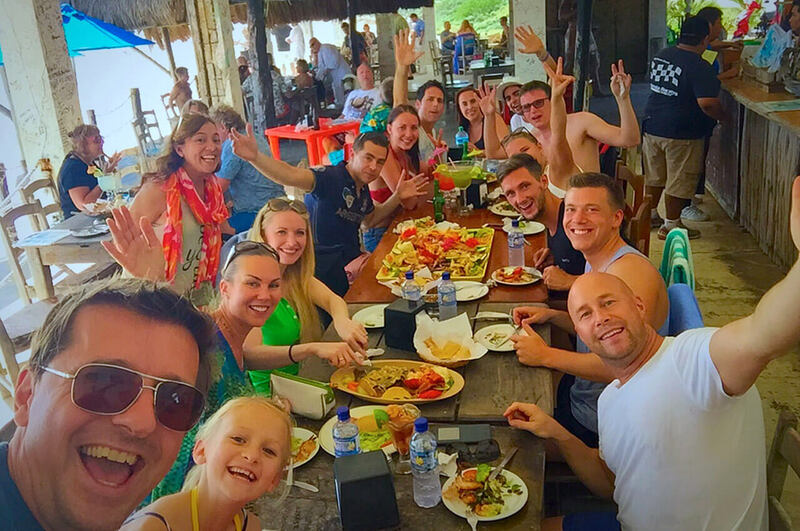 We’ll also send an itinerary of all the meeting times, and will loosely plan group excursions on each island, where you can meet on the same beach to enjoy networking and learning while relaxing in the sun. Definitely bring sunglasses and a swimsuit! During the day, you’ll want to pack outdoor beach or hiking gear, to enjoy each port of call. In the evenings, we recommend casual clothes for dining at night, and 1-2 formal wear outfits for the Elegant evenings on board. Tom “Big Al” Schreiter, Wes Linden and Art Jonak will lead the training seminars; plus, more speakers will be announced. Learn more about the speakers here. How can I participate as a speaker? If you are interested in participating as a presenter, please contact us here. Over the past 27 years, we’ve visited some amazing locations, with jaw dropping views, filled with adventure, priceless networking and lifelong friendships. This year’s cruise, we’re taking things to a whole ‘notha level! Only 40 minutes away from Miami, this beach city is known for upscale outdoor restaurants, great promenade shopping, and fun in the sun. Fly into either Fort Lauderdale or Miami airport to quickly shuttle to the cruise port. Enjoy the Adventure of the Seas’ many activities and restaurants on board, relax on deck under the sun, and come learn from our networking seminar. Ice skating, rock-climbing, water slides... you'll never be bored on board this ship! Labadee is a private beach peninsula, with beautiful beaches, sparkling blue water, and a half-mile long zipline over the ocean. Behind stone walls, Old San Juan charms with 500 years of history, colorful colonial buildings and streets lined with shops, galleries and cafes. Experience Puerto Rico’s enchanting natural side at the nearby rainforests in El Yunque or walk to one of the many beautiful beaches near old town. 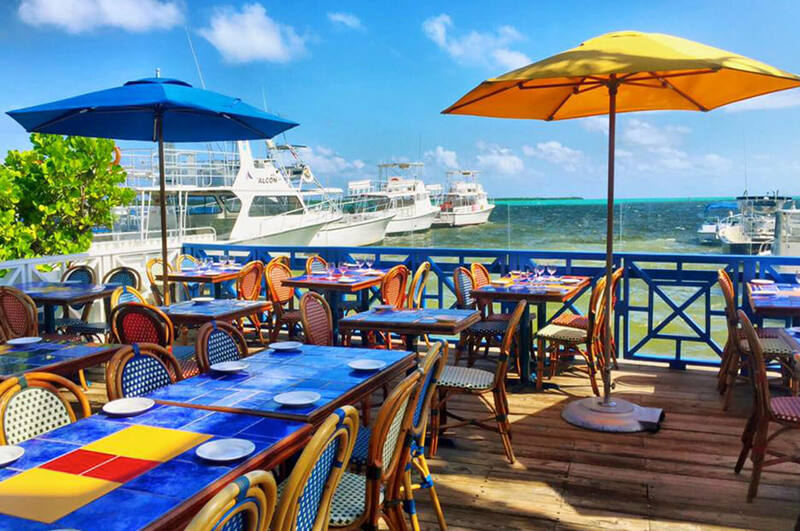 Half French, half Dutch, this shared island features colorful cobblestone street towns and gorgeous beaches, with fresh lobster and French inspired cuisine. Watch airplanes overhead on Maho beach, hike up Pic Paradis, or relax in the sun at Orient Bay. 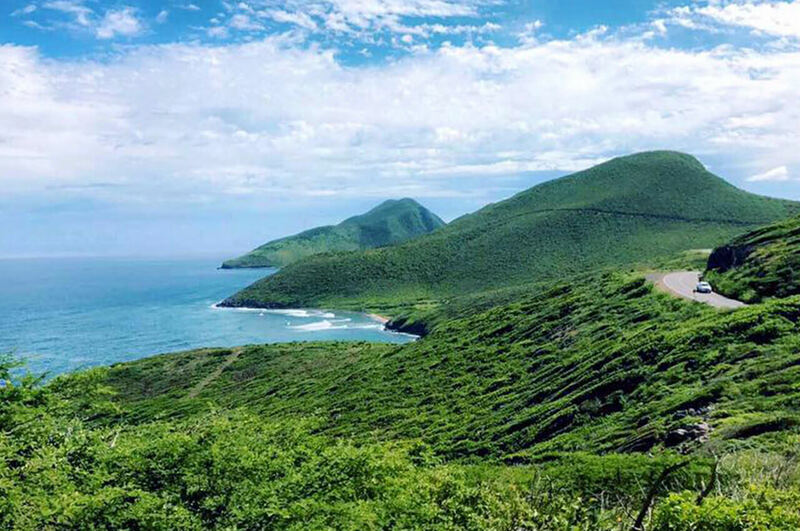 Rainforested mountains and white beaches, St Kitts has some of the most stunning views in the Caribbean. 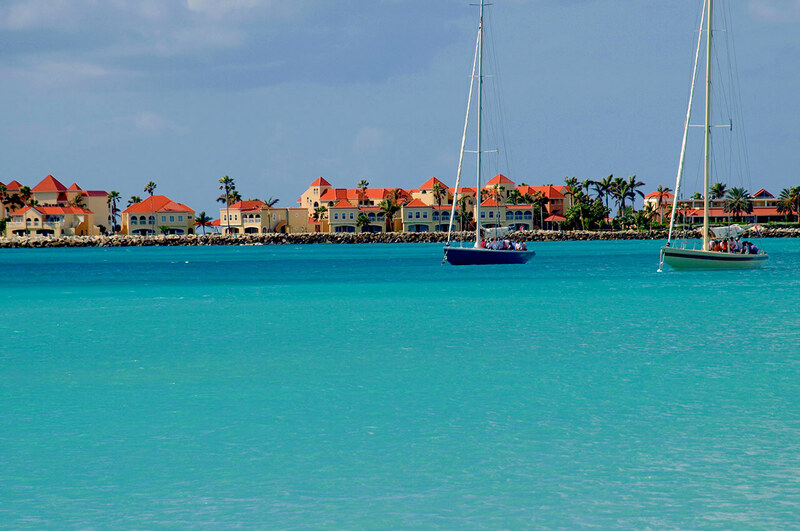 Sail into the colonial era capital, Basseterre, drive through the mountains to the serene beaches, to enjoy jet skiing and Caribbean food from a cabana. roller-blading, ice skating, rock-climbing, surfing, and so much more! In 2016, the Jewel of the Seas underwent a complete bow-to-stern renovation of the staterooms, decks, and added in three new restaurants. The Adventure of the Seas is full of on-board activities to entertain all ages, and will look her best being refurbished in early 2018. With Broadway style shows, a rock climbing wall, mini golf course, and 16 lounge areas, an ice skating rink, and an adults-only lounge area, you’ll find plenty of entertainment on board. 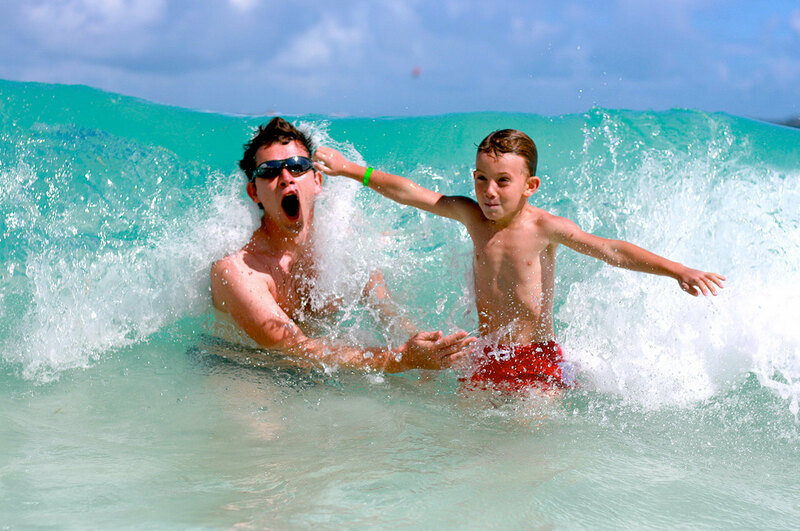 Royal Caribbean focuses on the entire family’s experience, especially for the kids. Their youth program, Adventure Ocean, is award winning, and the ships have features that kids love, like slides, rock climbing, DreamWorks characters throughout the ship, and more. The Adventure of the Seas is a Royal Caribbean Voyager Class Ship: not as crowded as the Oasis class ships, but full of amenities and activities to enjoy. You'll always have your next adventure in sight, from rock climbing to mini golfing, poolside movies to a variety of delicious restaurants. Hear from the people who have experienced the Mastermind Cruise. Hello! My name is Ada. I had the opportunity to be on the cruise 2 years ago and I loved it. Even though everyone was from a different company, we had the privilege of learning with the best leaders in the world and building one on one relationships with them. Secondly, the hospitality, ship and service on the cruise were awesome. The food in all the restaurants was delicious. I highly recommend going on the cruise! If I had known what an awesome experience it was I wouldn't have missed a single one! There is no better way to experience the tremendous sense of community in the Direct Selling industry than to be in The Caribbean with blue skies, warm sunshine, great people, great food, outstanding excursions, more fun than you can imagine. A business conference on a cruise ship in the Caribbean? Blown away! When I told people I had been at a business conference on a cruise ship in the Caribbean, they were just blown away and wanted to know more. So not only did I get some great new ideas and tons of motivation on the Mastermind Cruise, I have also found the experience very useful as a recruiting story! Just bring your team and a smile! 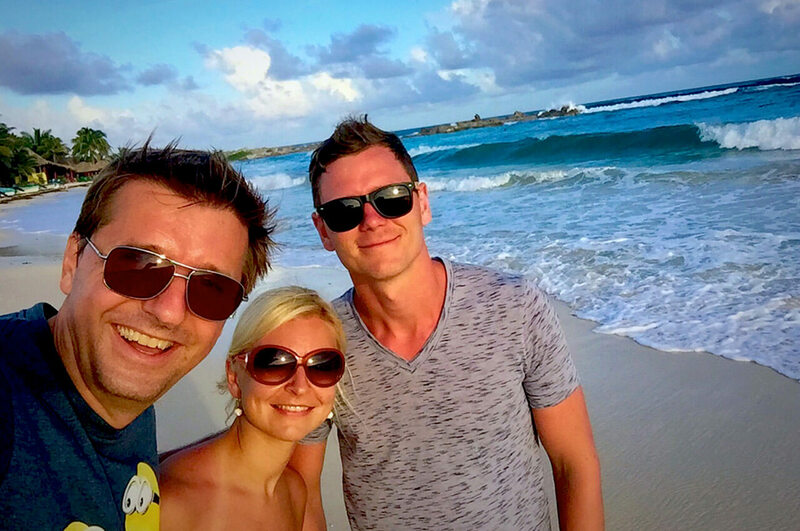 We have been on the cruise several times and must say that the value of creating friendships and gaining priceless insights from top leaders from around the world, while on a beach in the Caribbean is amazing! And everything is included! Just bring your team and a smile! 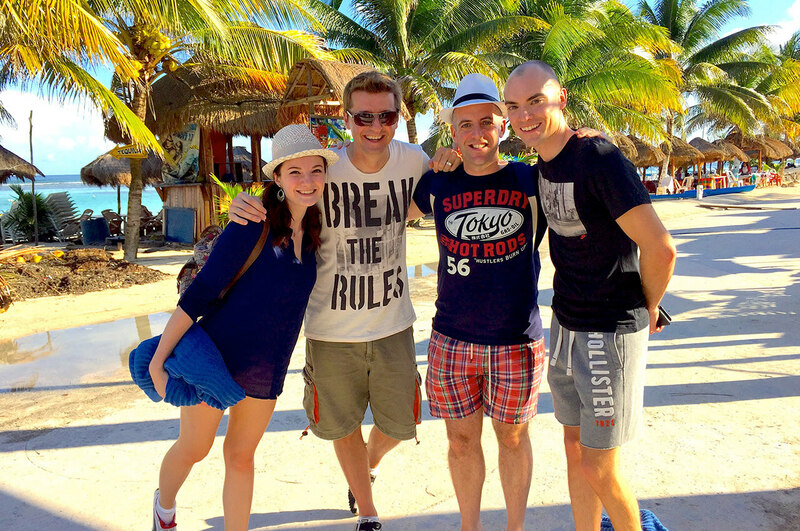 The Mastermind Cruise was absolutely outstanding, just top class! This first Direct Selling cruise for me was absolutely outstanding, the associations that I've made while chatting with top leaders from around the world, plus having fun, relaxed seminars followed by walking the best beaches in the world, just top class - oh and booked for this year too! My favorite direct selling activity of the whole year!! There is NO better opportunity to learn from the best because it's not just about the training days at sea, it's about the mentoring moments woven into every day interactions on deck, at the beach, or during dinner. If you haven't treated yourself to a Direct Selling cruise yet and you want to help yourself shift into a higher gear, BOOK YOUR TICKETS! Book before Jan 3 and you can save 30%!